I rarely eat salad, but this is one salad that I prepare whenever we need a healthy, low-carb lunch. 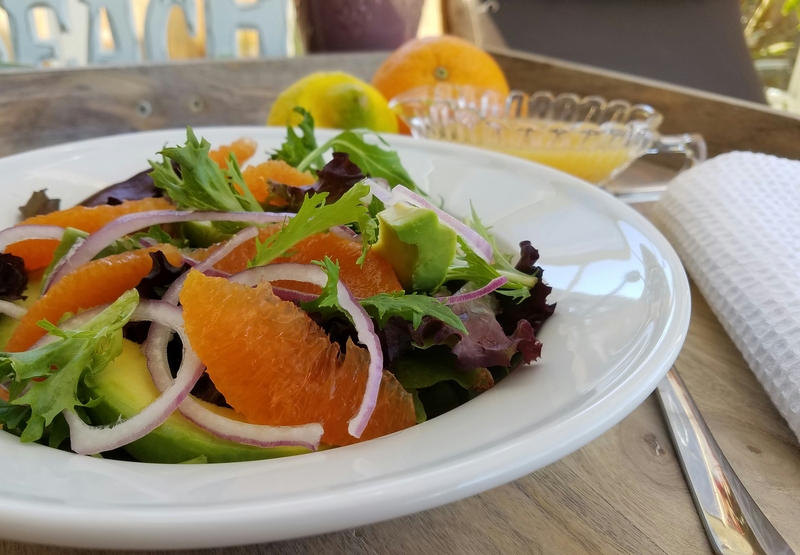 The combination of these bright, juicy cara cara oranges and avocado creates a creamy yet refreshing salad. There is absolutely no guilt having this for lunch 🙂 Does Hillary and Ashley approve? Shake all dressing ingredients in a tightly covered container. Chill until ready to use. Arrange orange, avocado slices, and onion rings on salad greens. Pour orange dressing over the salad. Sprinkle with ground black pepper.